We make available different varieties of Ayurvedic Medicines For Piles such as Arshopy Capsules and Pilogest Capsules. 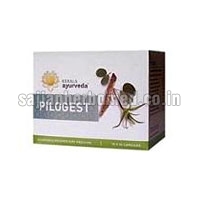 We are one of the leading Suppliers of Ayurvedic Medicines from Punjab, India. The entire range of our Ayurvedic Medicines is sourced from the reliable sources of the market. We are efficient enough to process retail as well as bulk orders for Ayurvedic Medicines even at short notice period.